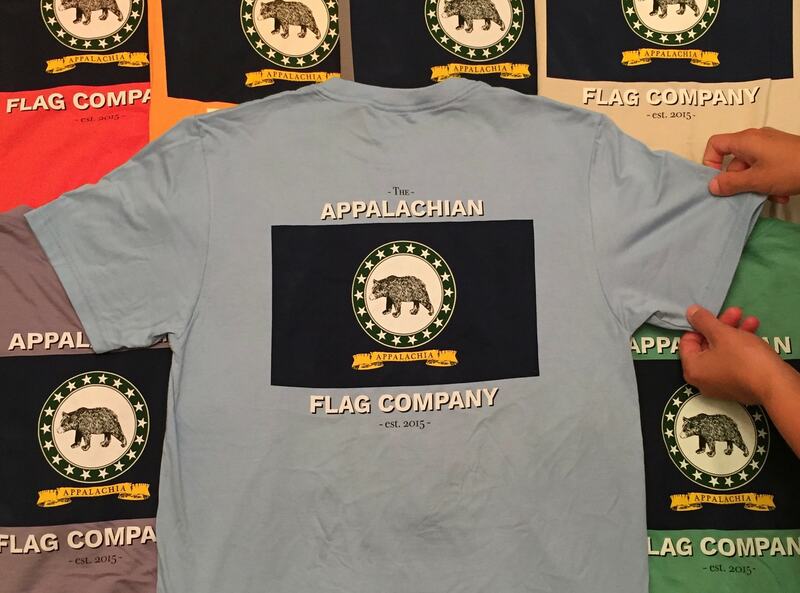 The Appalachian Flag Company was founded in 2015 by Grayson and Gaby Hicks. 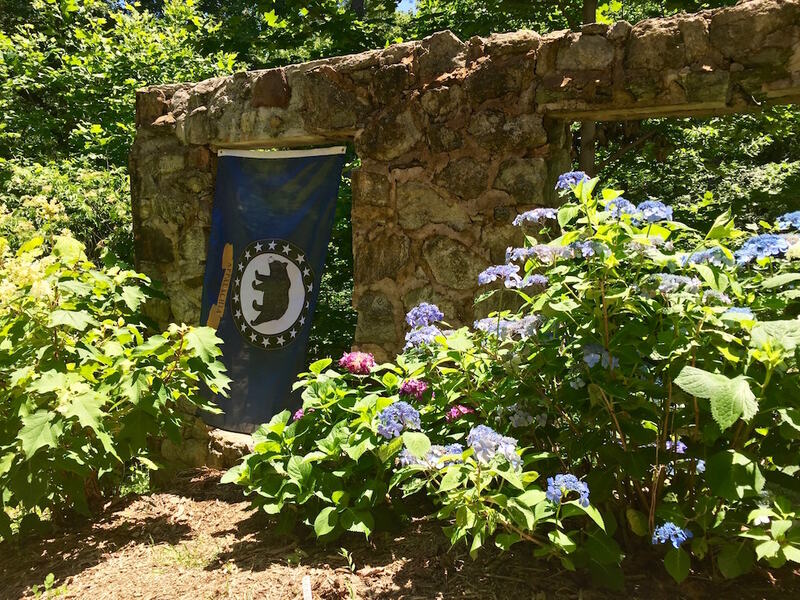 Through their lifelong love of the Appalachian region, they realized that no symbol, no flag, had succeeded in representing the people that inhabited Appalachia. There were American flags, state flags, Confederate flags, college flags, but none of these evoked an accurate sense of place. Appalachia is different than America, different than the states in which it lies. It is different than the Confederacy and different than the colleges that lie within it. So we travelled the spine of Appalachia and designed a flag that every Appalachian should be proud to fly, the Appalachian Flag. 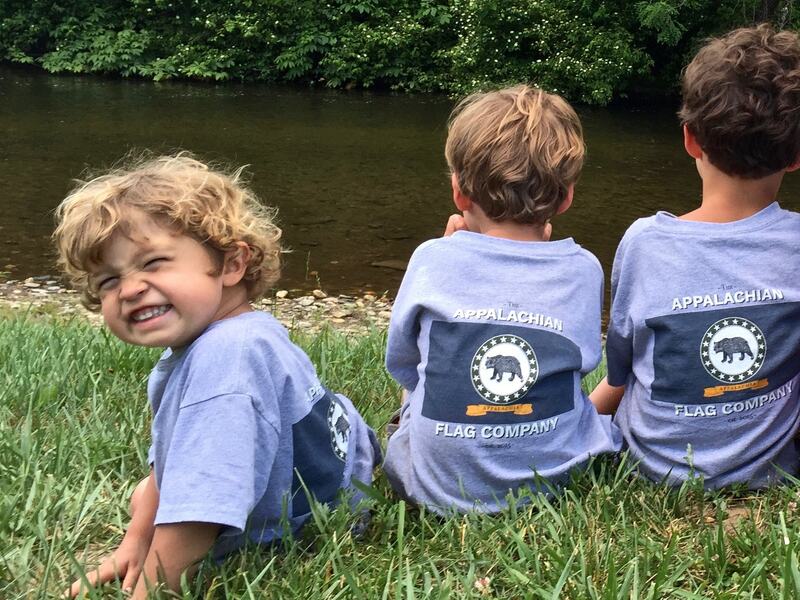 This company is first and foremost about the flag. We’re often asked about the story behind its design. We set out to create a timeless symbol that tells the story of Appalachia. 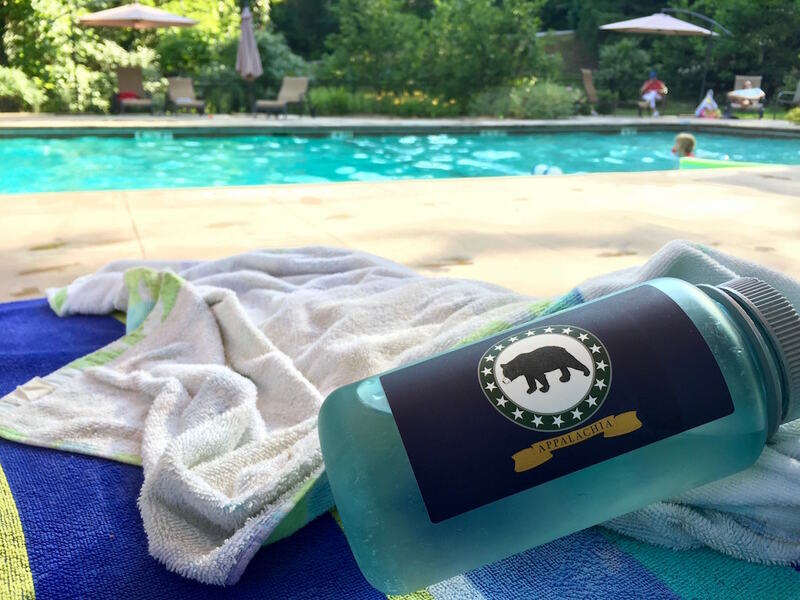 Here’s the breakdown: green for the rolling hills and thick forests, blue for the vital crystal waters, a white star for each state that these hills touch, gray for the mystic, blanketing fogs, a dignified scroll proclaiming our name, and last but not least, our black bear. He captures the spirit of power, freedom, and ingenuity of the Appalachian people (we still love you, salamanders). 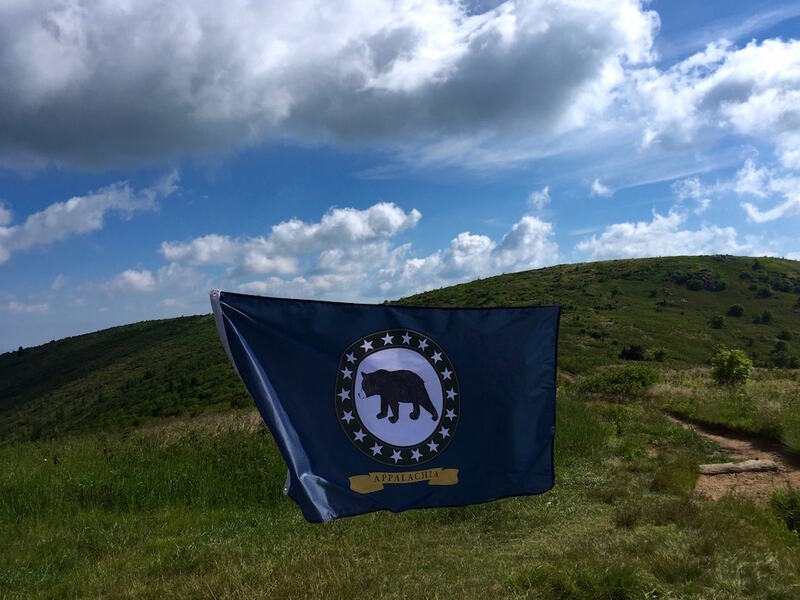 Our dream is that this flag will reach the home, heart, and porch of every Appalachian, uniting us all as one. 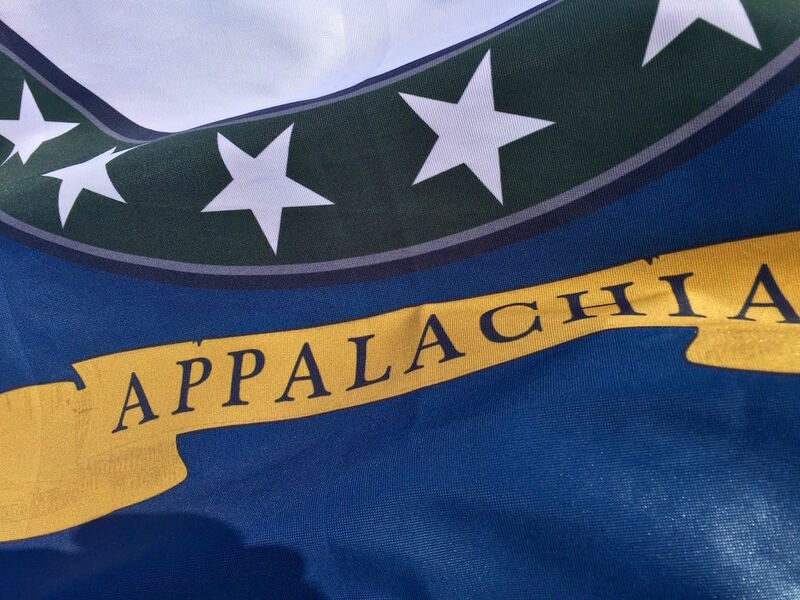 Send the Appalachian Flag Co. a Message! 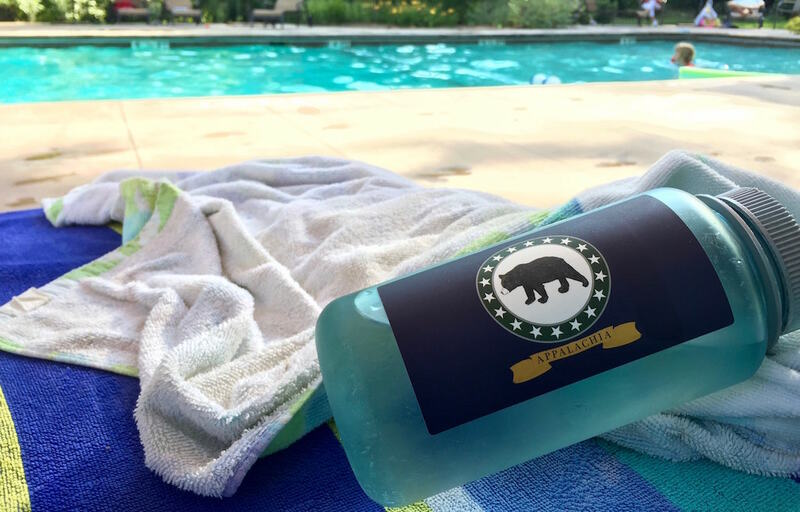 Printed and manufactured in North Carolina, this durable indoor / outdoor nylon flag is a beautiful way to show your Appalachian pride. We need to sell as many shirts and stickers as possible between now and 8/15 to get these into production! These flags are the standard 3' x 5' size and are shipped via USPS. This shirt has been built from the ground up. The cotton is grown along the coast of Georgia and South Carolina. 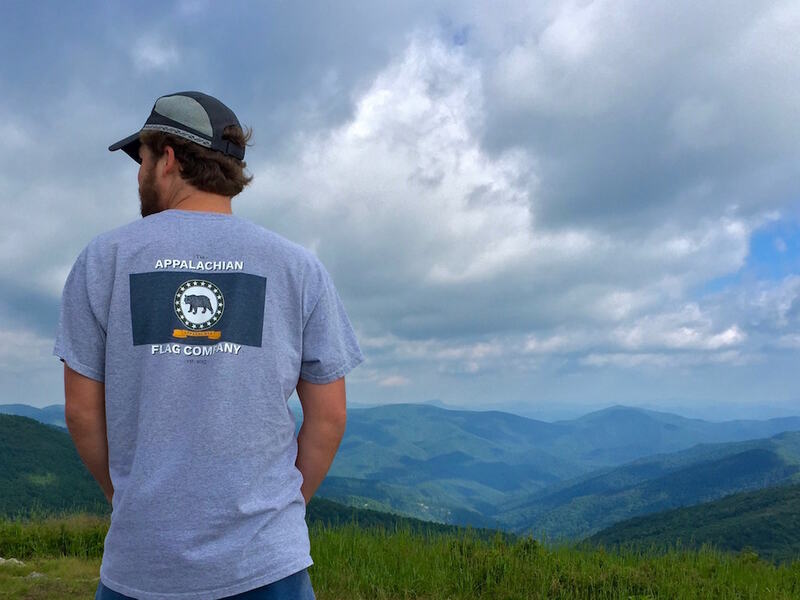 From there, it is processed into shirts in North Carolina and Tennessee, until finally being printed in the Appalachian foothills of South Carolina. 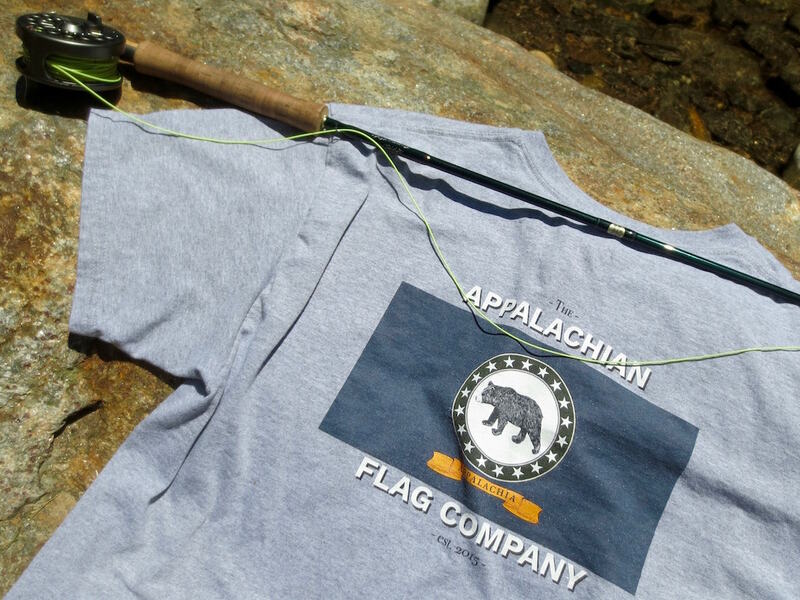 The back of the shirt features our iconic and bold Appalachian flag, and our logo printed on the front pocket. 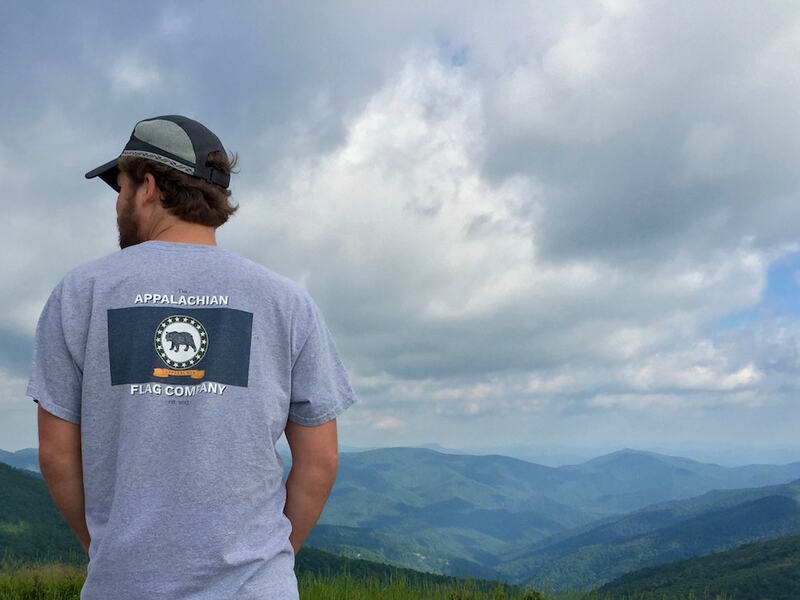 Wear your Appalachian pride wherever you go. 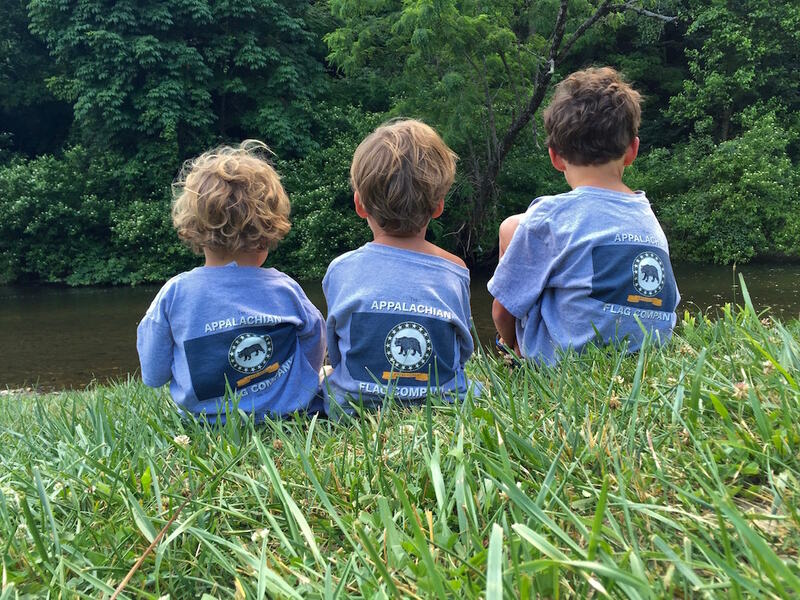 The shirts come in several beautiful colors, in standard sizes, and are shipped FREE immediately via USPS. 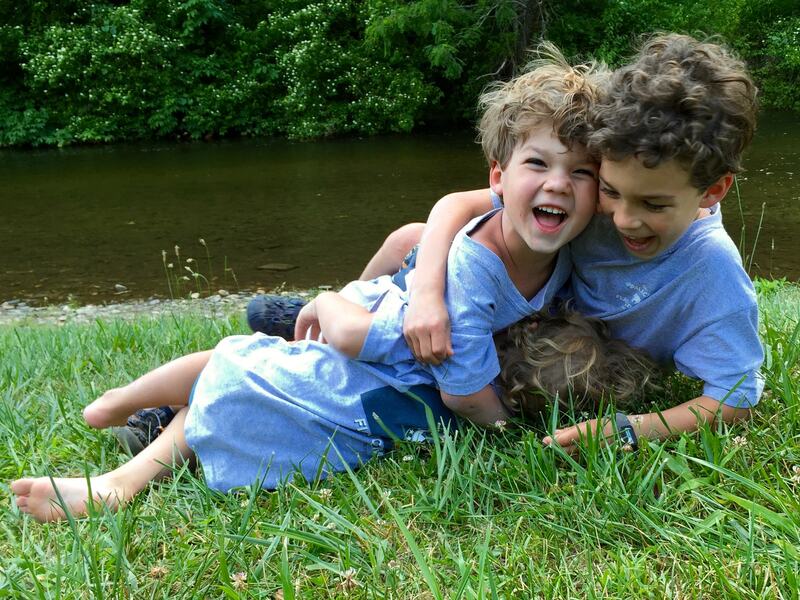 Our youth shirt is 100% made in America. The design is the same as our adult shirt, minus the front pocket, and just shrunk down a bit. It's perfect for instilling a sense of pride and home in our young ones. 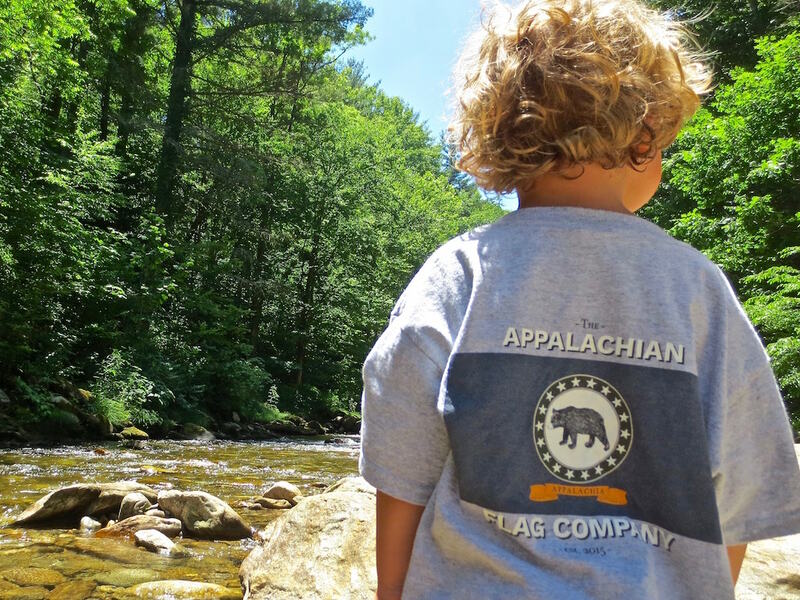 It's a special thing to be a child in Appalachia, and you can use this shirt to tell them about their unique region. Our stylish sticker is simple. 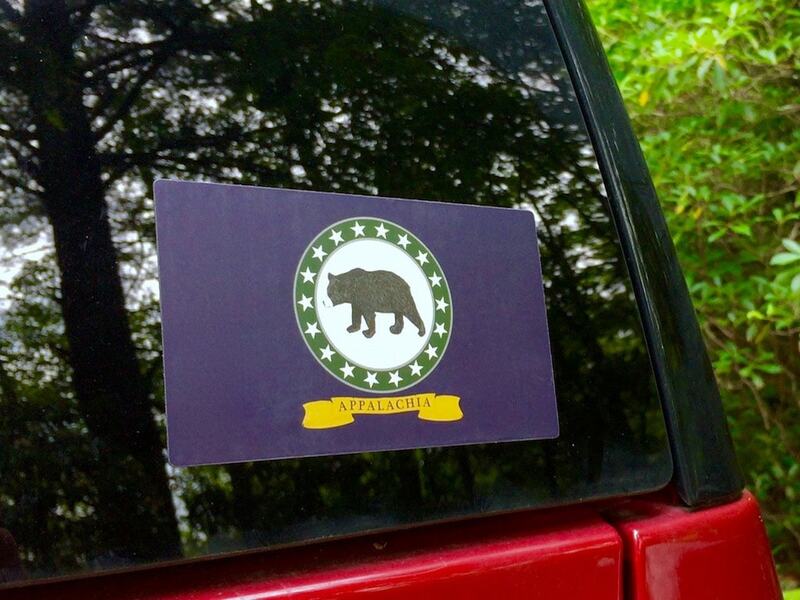 We take the Appalachian Flag and print it on a durable, matte finish sticker. Throw it on your tractor, Nalgene, or banjo case. The sticker is 3" x 5", and is shipped FREE via USPS.